Ava has some truly amazing aunts who have recently accomplished some amazing feats. 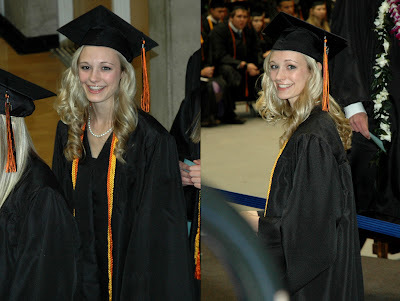 Last week, Ava's Aunt Lauren (Krista's sister) graduated from Murray High School ranked seventh in her class. 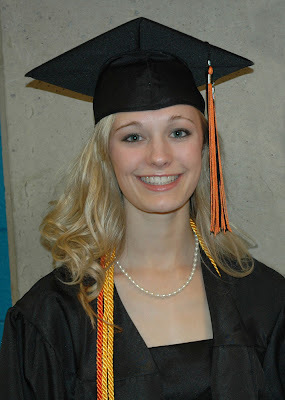 Lauren will be attending BYU this fall on scholarship. Although she seems a little nervous, we know that she will do great. Ava was there to support Lauren at graduation. We hope she will grow up to be as studious and as smart as her aunt. Ava was not able to travel to Eugene, Oregon last week to support her Aunt Kelly (Larry's sister-in-law) during the NCAA Western Regionals for outdoor track and field. 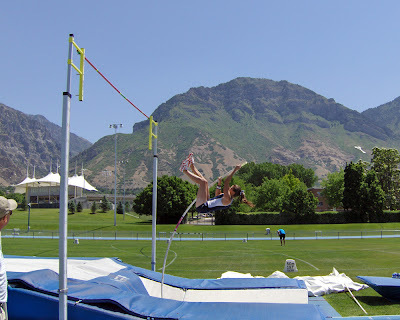 However, even without her favorite niece (we can say this with confidence since she is Kelly's only niece) in the stands, Kelly had an amazing day pole vaulting. 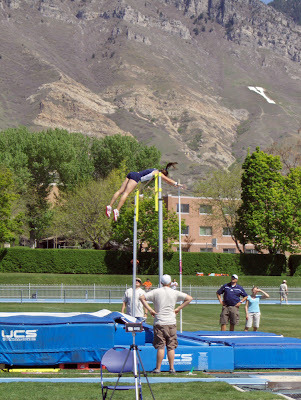 Kelly cleared a career-best height of 13' 8" (4.15 m), which also set the new BYU school record for women's pole vaulting. With that height, Kelly placed second at regionals, which qualifies her to compete in the NCAA Outdoor National Championship on June 6-9 in Sacramento, California. 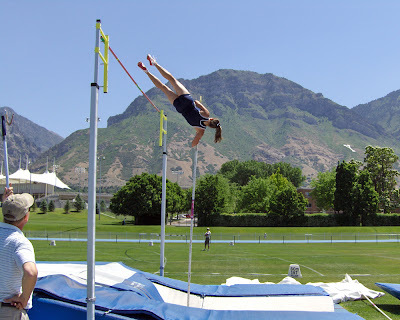 Kelly's jump of 13' 8" also ranks her among the top five collegiate women pole vaulters nationally. We congratulate Kelly on her amazing feat and wish her the best of luck at nationals this week. Can't say my family is as amazing as this!! At least that I know of?? No records or anything like that...oh well...at least we both have really cute kids huh!! 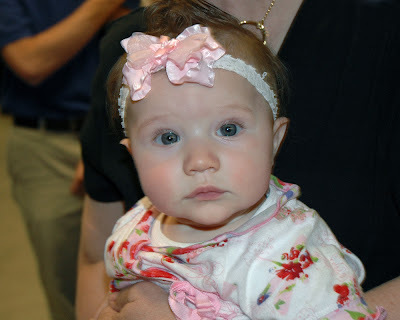 Ava is cute as ever at the graduation! !